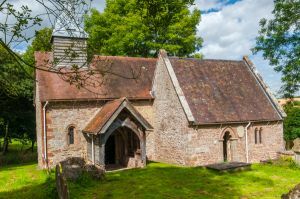 The small Norman church of St Michael's at Upton Cressett is as pretty as a picture, set beside an Elizabethan manor hall in a quiet valley west of Bridgnorth. 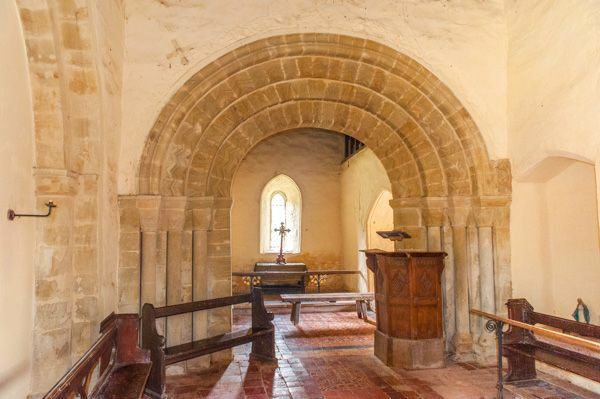 This delicious country church is largely 12th century, with the addition of a late medieval timber porch and bellcote and a Victorian south chapel. Unusually, the chancel is larger than the tiny nave, which was originally the aisle to a larger church. Blocked 13th-century arcading shows where the original opening into the nave used to be. The south door and chancel arch of three orders are Norman, as are several small windows. At the west end is a very simple bowl font of Norman date. 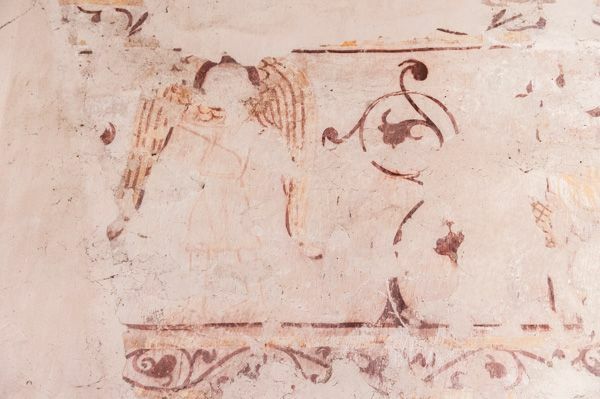 Restoration work on the west wall in 1968 revealed a hidden medieval wall painting. St Michael's is no longer used for regular worship and is in the care of the Churches Conservation Trust. 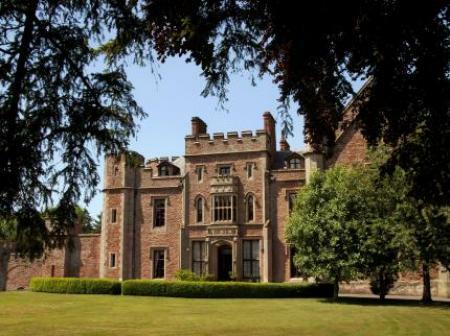 We were able to explore St Michael's on a family visit to Upton Cressett Hall. The church stands immediately below the hall, set on a low terrace on a gently sloping hillside. The church is kept open, so you don't need to time a visit for the somewhat limited Hall opening hours. The interior is quite sparsely furnished. 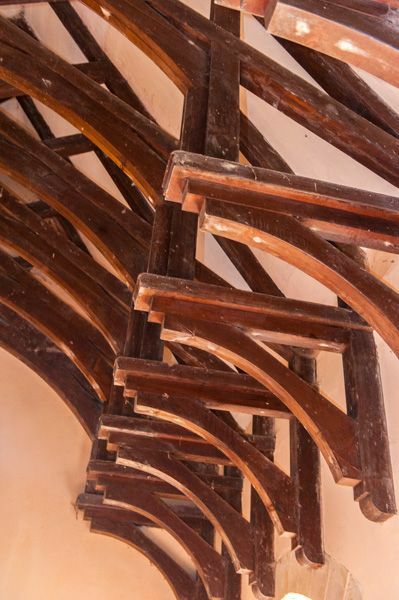 That is not a negative, as it enables you to easily see the architecture of this delightful little church. 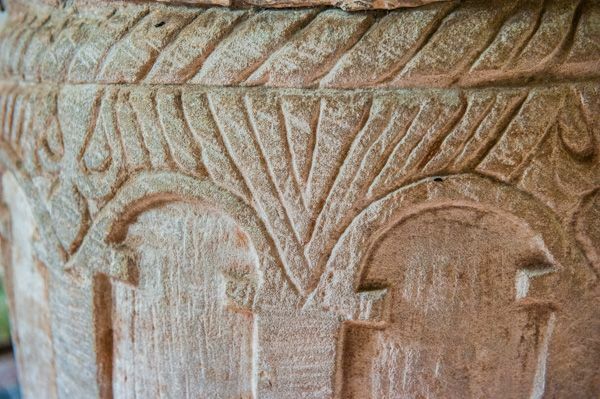 Immediately inside the door, at the west end of the nave, is a simple Norman tub font, decorated with blind arcading. The carving is typical of the late Norman period, and though not exceptional, it is a very attractive period piece. 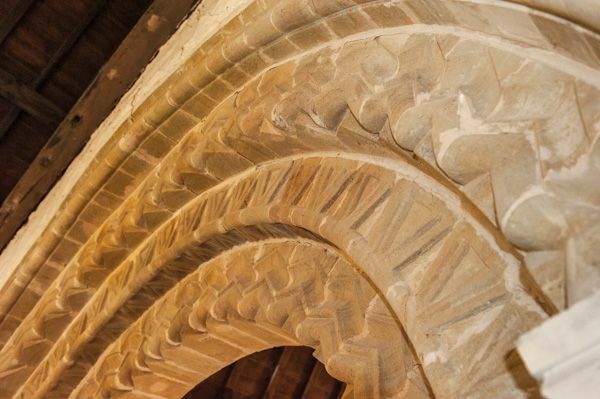 The most immediately eye-catching feature of the interior, however, is the wonderful chancel arch, which seems exceptionally wide for this small country church, and is carved with traditional Norman motifs, including zig-zag and dogtooth patterns. Pass through the arch and turn right through a low doorway to the chapel. On the west wall is an exposed area of medieval wall painting, where you can clearly make out a worn figure. On the north chapel wall is a rubbing of a 17th-century brass to Richard Cressett and his wife Jane. The original was moved to Monkhopton church after Upton Cressett became redundant in 1959.